More like Bat Back Into Hell – am I right? Anyone? A comeback album is defined – at least for the sake of this article – as an album released after an artist has been written off. Common causes include releasing a series of mediocre albums, a break from music, or the death of a band member. It’s difficult to survive such circumstances – The Doors, for instance, released three official albums after Jim Morrison died, but none are held in high regard. Most Doors fans to this day consider LA Woman their final album, with many not even knowing about post-Morrison Doors. These four artists, however, overcame difficult odds and came back strong. The write off: It feels wrong to say that Elvis was ever written off, seeing as how the man never sang a bad note in his life, but by the mid 60s he was almost irrelevant. The British Invasion changed the musical landscape and there wasn’t much room for ol’ timey rockabilly. Elvis was also busy making bad formulaic movies with bad (but well sung) formulaic soundtracks, with perhaps the nadir of both being the song “Yoga Is as Yoga Does” from the film Easy Come Easy Go. (I’m serious.) Elvis became upset with his career, and supermanager Colonel Tom Parker managed to wrangle a deal to get him back on TV and let him do his first live performances since the early 60s. The result was what is now referred to as the ’68 Comeback Special, and as the title suggests relaunched his career and made him cool in the public’s eye again. All that was left to do was to show that his comeback wasn’t a fluke. In a sentence, Elvis went back to being Elvis. The versatility, the passion, the pure talent – it’s all there on this record. Blues, rock, country, gospel, pop – all sung like everyone knew Elvis could sing. 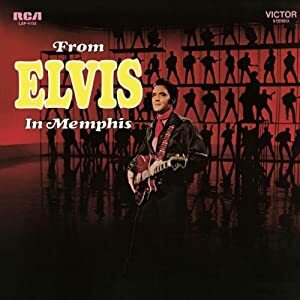 It may be the most varied album Elvis ever recorded in terms of genre, but it’s all connected with the Memphis sound. Perhaps the most famous song off the album is “In The Ghetto,” but the album also features a solid cover of “Hey Jude” by The Beatles and some classic-style Elvis ballads such as “I’ll Hold You In My Heart (Till I Can Hold You In My Arms).” Many list this as one of his best albums, if not his best, because of the sincerity in it – sincerity absent for far too long. The write off: Their lead singer died. A mere six months after the release of Highway to Hell – a massive success credited with putting them among the top hard rock acts in the world at the time – lead singer Bon Scott was found dead in a car after a night of heavy drinking. This was a serious blow – both creatively and emotionally – to the band. To this day Scott is one of the more recognizable vocalists in rock, so they knew it would be a tall order replacing him. After briefly considering quitting, they picked up vocalist Brian Johnson from the band Geordie and started recording a new album. 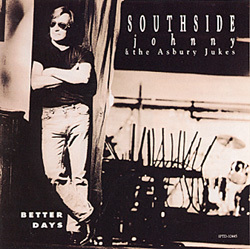 The write off: Southside Johnny has always been an underrated artist who suffered bad luck with the music industry, though if you’ve ever seen Home Alone or remember the sitcom Dave’s World, you’ve heard him. His first three albums – I Don’t Want to Go Home, This Time It’s For Real, and Hearts of Stone – did pretty well, and Hearts of Stone has been described as “the best album Bruce Springsteen never recorded.” The band was a staple of the Jersey Shore sound at its time, and still maintains a following. Due the aforementioned bad luck – in addition to being overshadowed by Springsteen – Southside never had much of a chance to get big. The band underwent many changes during the mid 80s and changed labels almost every album, but stopped acting as a unit under the “Asbury Jukes” title around 1983. In 1991, he Got The Band Back Together and put out his first studio album in years. The write off: After the worldwide phenomenon that was Bat out of Hell, extensive touring began to take its toll on Meat Loaf. He became a drug addict, experienced nervous breakdowns, and for a period of time he straight up lost his singing voice. In 1981 he released a solid effort in Dead Ringer. He then entered into a legal dispute with his longtime songwriter Jim Steinman and over the course of the 80s released a series of forgettable (and that’s being generous) albums mostly to keep himself out of bankruptcy. During this time he improved his skills while touring and eventually reconciled with Steinman. If Bat Out of Hell is a teenager, Bat Out of Hell II is that same teenager as a cynical adult. 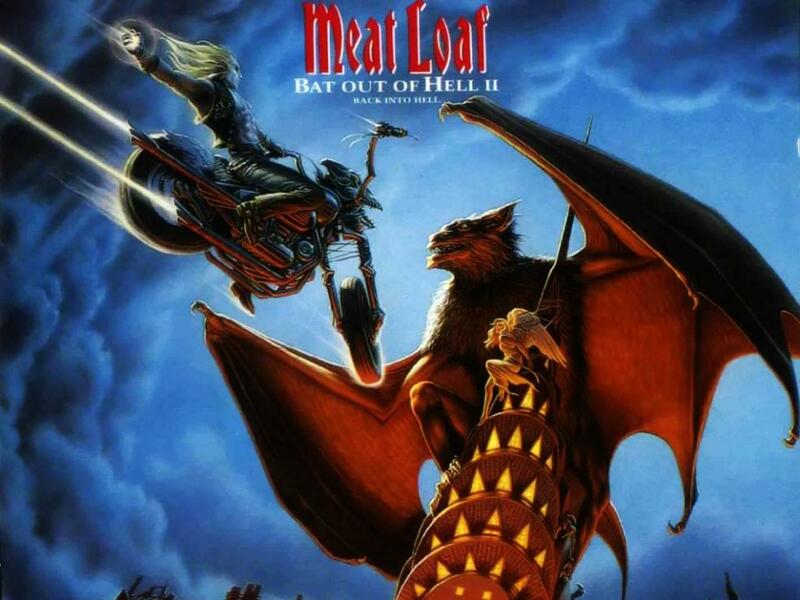 While not as strong an album as the first Bat Out of Hell, Bat II was a stronger return to form for Meat Loaf than anyone predicted. Full of long operatic songs with long operatic titles that play on popular phrases, Bat II is the sequel Bat I deserved. 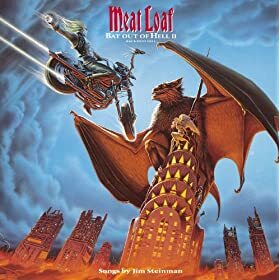 Between long songs about a tragic youth (“Objects In the Rearview Mirror May Appear Closer Than They Are”) and a declaration that he would do anything for love (but he won’t do that), it brought back the bombastic themes and sound for which Meat Loaf became famous. His voice was allowed to soar, and his production was top notch. That’s my list of best comeback albums. Do you have any favorites? Let us know in the comments below!